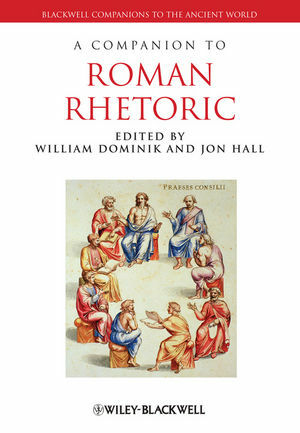 A Companion to Roman Rhetoric introduces the reader to the wide-ranging importance of rhetoric in Roman culture. William Dominik is Professor of Classics at the University of Otago. He is a contributor to A Companion to Ancient Epic (2005) and A Companion to the Classical Tradition (2006). He has also published numerous books, chapters, and articles on Roman literature and other topics. Jon Hall is Senior Lecturer in Classics at the University of Otago. He is the author of numerous articles and chapters on Cicero’s oratory and rhetorical treatises. He has also completed a book on Cicero’s correspondence. A guide to Roman rhetoric from its origins to the Renaissance and beyond. Comprises 32 original essays by leading international scholars. Explores major figures Cicero and Quintilian in-depth. Covers a broad range of topics such as rhetoric and politics, gender, status, self-identity, education, and literature. Provides suggestions for further reading at the end of each chapter. Includes a glossary of technical terms and an index of proper names and rhetorical concepts.